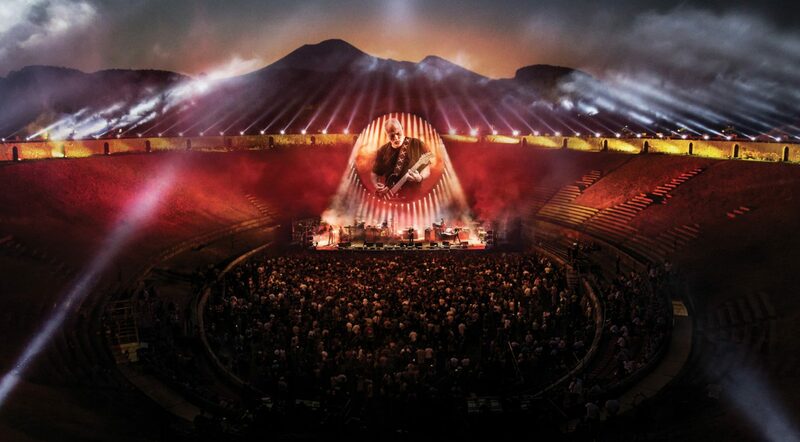 45 years after Pink Floyd’s David Gilmour filmed ‘Live At Pompeii’ in the legendary Roman Amphitheatre there, he returned for two spectacular shows, part of his year-long tour in support of his No.1 album ‘Rattle That Lock’. 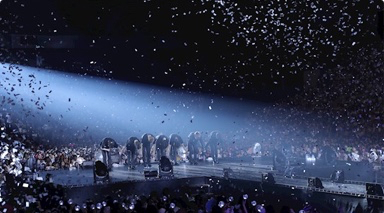 The performances were the first-ever rock concerts for an audience in the stone Roman amphitheatre, and, for two nights only, the 2,600 strong crowd stood exactly where gladiators would have fought in the first century AD. ‘David Gilmour Live At Pompeii’ is an audio-visual spectacle, featuring lasers, pyrotechnics and a huge circular screen on which specially-created films complement selected songs, but paramount above all is the astonishing music and stellar performances from an all-star band. The show includes songs from throughout David’s career, as well as many Pink Floyd classics, including ‘One Of These Days’, the only song that was also performed at the band’s 1971 show. Both concerts also saw very special performances of ‘The Great Gig In The Sky’ from ‘The Dark Side Of The Moon’, which David rarely plays as a solo artist. This concert performance film includes highlights from both shows, filmed in 4k by director Gavin Elder . ‘David Gilmour Live At Pompeii’ shows an artist at the top of his artistic game, performing incredible material with his world-class band, in a unique setting, on one very special occasion. Songs include the title tracks of his two most recent No. 1 solo albums: Rattle That Lock and On An Island, as well as other solo and Pink Floyd classics, including Wish You Were Here and Comfortably Numb.